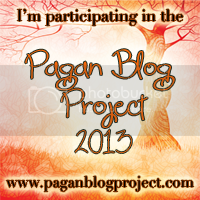 Pagan Blog Project – I am Still Alive, I Swear! By now I am sure you have noticed my distinct lack of posts as of late. And yes, the timing of my dropping off the PBP world right after my last post is not lost on me. I have not given up. Things have just…changed for me, lately. The combination of me picking up creating artwork again, plus attempting to start up an online business, visiting my home state that I escaped from for the first time since I moved, and things being quiet on the spirit front, has made it much more difficult for me to write overall. To write about spiritual matters, which I am reacting to as if I am allergic to them, has been a source of great anxiety. So, long story short, I have not thrown in the towel just yet. Just hit a pretty big bump in the road. My hope is that, once I find balance and things pick up a bit spiritually, I can catch up on all the skipped posts. Until then, my goal is to just do my best, which I expect will fall very short of my standards. But, it is a start, right?